Records. — Daniel Schnyder. composer. saxophonist. A Bandcamp-exclusive instrument / ensemble specific collection containing music for string instruments. 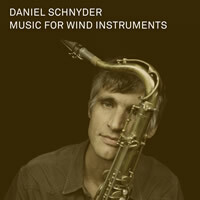 A Bandcamp-exclusive instrument / ensemble specific collection containing music for wind instruments. 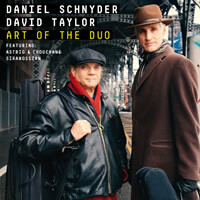 Daniel Schnyder, sax, David Taylor, b-tb, feat. Astrig and Chuochane Siranossian, vln/vcl. Produced by Daniel Schnyder, David Taylor and Eva Bauer-Oppelland. Tracks 7-10 recorded at System 2, Brooklyn, NY. Recording, Mix and Mastering at Bauer Studios, Ludwigsburg, Germany, by Adrian von Ripka. Photos by Ronnie Taylor and Zaven Khachikian, Artwork by Michel Holzapfel. contains "Krisis" and "Psalm" along with Richard Strauss' "Metamorphosen"
Works by Mikhail Glinka and Daniel Schnyder. Feat. "Worlds Beyond", "Sonata for Clarinet and Piano" and "Baroquelochness"
contains Concerto for Chamber Orchestra, Concerto for Violoncello and Orchestra a.o., featuring l'Orchestre de Chambre de Lausanne, Adam Taubitz, David Taylor a.o. feat. 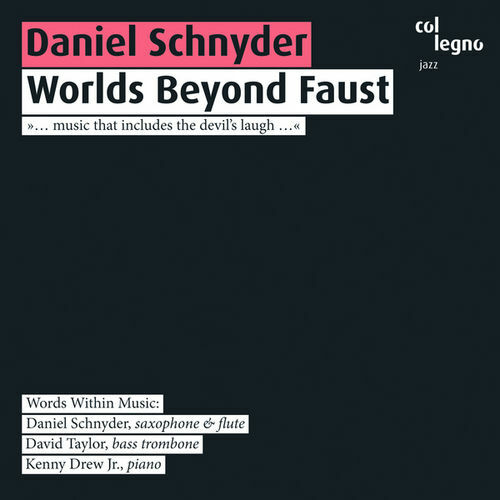 Daniel Schnyder, David Taylor, Kenny Drew, Jr.
feat. Trumpet Concerto, Little Songbook, sub ZERO. NDR Radio Philharmonic Orch. / Absolute Ensemble / K. Järvi, Reinhold Friedrich (tp), Manhattan Brass, David Taylor (btb), Daniel Schnyder (s). Works by Baker, Pitombeira, Piazzolla, Schnyder. 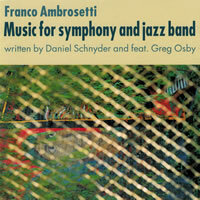 Includes Daniel Schnyder's Jazz Sonata for Cello and Piano. Carmina Quartett, DS & String Quartet feat. Jamey Haddad (perc). All music by DS, includes zoOM IN, String Quartet No. 3, a.o. Absolute Ensemble dir. 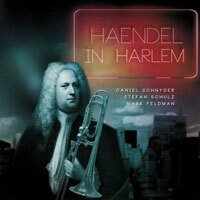 by Kristjan Järvi, Dave Taylor b-tb, Denman Maroney, prepared piano, Matt Herskowitz p, Daniel Schnyder comp. 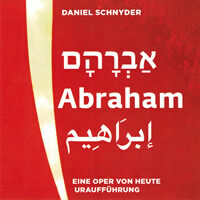 Abdullah Ibrahim p, compositions / Belden Bullock b / George Gray dr / 20-part string orchestra, Daniel Schnyder, arr. Abdullah Ibrahim p, Marcus McLaurine b, George Gray dr; Munich Radio Symphony, dir. by Barbara Yahr; Absolute Ensemble, Kristjan Järvi; Daniel Schnyder arr. Daniel Schnyder ss, ts, fl / Kenny Drew, jr. p / Dave Taylor b-tb. Daniel Schnyder ss,ts / Andy McKee b / Hubert Laws fl / Michael Formanek b / Thomas Chapin fl / Alejandro Rutkauskas vln / Michael Mossman tp,flgh / Adam Taubitz vln / Robert Routch fr-h / Jürg Dähler vla / John Clark fr-h / Daniel Pezzotti cello / Jim Pugh tb & Dave Taylor b-tb / NDR Symphony Orchestra, dir. by George Gruntz. Lee Konitz as / Mark Feldman vln / Cenovia Cummings vln / Jill Jaffe vla / Ronald Lawrence vla / Erik Friedlander cello / Daniel Pezzotti cello / Michael Formanek b / Matt Wilson dr. Daniel Schnyder arr, prod. Daniel Schnyder ts,fl / Michael Mossman tp,flh,p-tp,tb / Kenny Drew Jr. p / Michael Formanek b / Marvin "Smitty" Smith dr.
Daniel Schnyder ss / Alejandro Rutkauskas vln / Adam Taubitz vln / Jürg Dähler vla / Valerie Dähler vla / Daniel Pezzotti cello / Wladislaw Sendecki p / Simon Nabatov p / Michael Mossman tp,flgh / "The Guitar Quartet": Marcel Ege, Martin Pirktl, David Sautter, Michael Winkler. Daniel Schnyder fl, ss, ts / Mark Feldman viol / Lew Soloff tp, piccolo tp / Michael Mossman tp, tb / Mary Rowell 1st viol / Lois Martin viola / Erik Friedlander cello / Michael Formanek b / Jeff Hirshfield dr.
Mike Mossman tp, Daniel Schnyder s/fl, Wladislaw Sendecki p, Hämi Hämmerli b, Guido Parini dr.
Daniel Schnyder ss / Matthias Ziegler fl / Simon Nabatov p / Daniel Pezzotti cello / Max Helfenstein tp / Hugo Helfenstein tb / Hanspeter Haas b-tb / Hansulrich Schläpfer p / Christian Meldau org / Robert Mark perc / Christian Lambour harpsichord. Daniel Schnyder ts, fl / Lew Soloff tp / Michael Mossman tp / Ray Anderson tb / Wladislaw Sendecki p / Michael Formanek b / Ronnie Burrage dr / Daniel Pezzotti cello / Matthias Ziegler fl / Robert Mark perc. 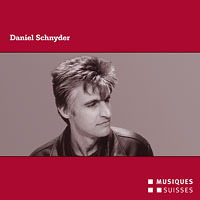 Daniel Schnyder ss, fl, ts / Lew Soloff tp / Michael Mossman tp / Ray Anderson tb / Wladislaw Sendecki p / Michael Formanek b / Ronnie Burrage dr.
Mathias Ziegler (Flöte), Wladislaw Sendecki (Piano), Hämi Hämmerli (Bass), Guido Parini, Andy Brugger (Schlagzeug), Thomas Jordi (Elektrischer Bass), Daniel Schnyder (Sopransax, Tenorsax), Euler Quartett, Kammermusiker Zürich, The Modern Art Septett.